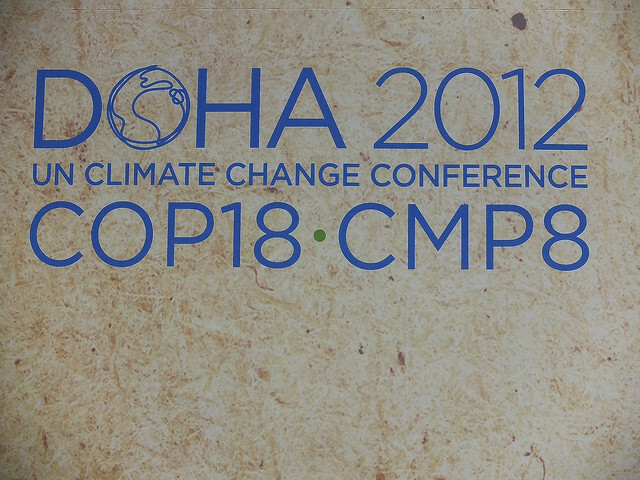 Today sees the start of the 18th session of the Conference of the Parties to the UNFCCC in Doha, Qatar. Between now and the 7th of December 7,000 official delegates, 7,000 representatives from non-governmental organisations and 1,500 journalists will descend on Doha, Qatar’s capital, to try to establish a climate change agreement. More than 190 countries will send representatives to the talks. The COP18 in Qatar builds on previous climate summits. Companies and countries who want to continue emitting noxious gases into the atmosphere, causing the climate to heat up, will be working to stall a new agreement, while environmentalists and other countries will push for tougher emissions targets. Most scientists and many governments agreed in 2012 that an increase in the global temperature must be limited to less than 2 degrees Celsius in order to avoid catastrophic "run-away" climate change. That goal seems unlikely. At the COP18, the eighteenth climate summit, key goals include extending the 1995 Kyoto Protocol - which was designed to bind signatories to emissions reduction targets - past 2012 when it expires. More Information: Has the Kyoto Protocol made any difference to carbon emissions?